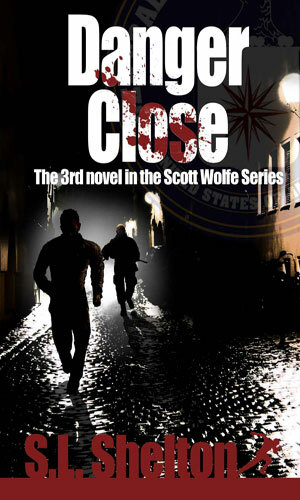 Scott Wolfe is an analyst turned agent with the CIA. The promo for the recorded adventures of this individual states "Scott Wolfe is a talented computer and electronics security specialist and an avid rock climber. He's a pretty typical twenty-something; he likes to party, he's bad at relationships, and he is a bit more adventurous than common sense would dictate. He does have one trait that makes him atypical, though. That gift is the secret to his professional success — and it comes in quite handy when a rash decision turns his life upside down." That does a fairly good job letting you know the basics of this person at a glance. As always, though, there are lots more to know and understand. Wolfe is in his mid 20's. He has a girl friend but their relationship is on shaky ground when the first adventure happens and it happens because of her and that tenuous connection. He cannot commit and she wants one and she leaves to be with her father and she and Daddy get kidnapped and Wolfe feels responsible. That in a nutshell is how the series starts but it goes in unexpected and interesting directions from there quite quickly. As far as Wolfe can remember, his father was a pretty rotten dad who abandoned him and his mother. His mother is in a vegative state in an institution and Wolfe is certain her condition is related to his father but beyond that memories are a bit fuzzy. Relationships are difficult things for Wolfe to deal with because of this upbringing. On the plus side for Wolfe is his very high intelligence and his almost eidetic memory and his unique ability to see patterns in logic which help him considerably in his chosen field of computer security. If a system has a hole in its firewall, Wolfe could find it and either seal it or use it, depending on his needs and whims. That makes him in demand and will be of even greater use when his new life kicks in. And it kicks in with a vengeance when his girl friend gets in trouble and Wolfe starts to learn he is a whole lot better at things than he ever thought he could be and a darn sight better than he probably should be and that has him intrigued and a tad nervous and gives the reader a lot of enjoyment. 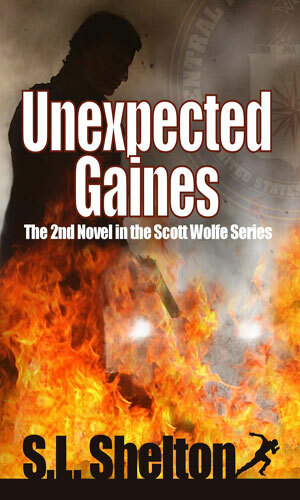 Getting a text message from an ex-girlfriend is not an unheard of occurrence but since she was said to have died in a terrorist attack, Scott Wolfe gets very curious. That curiosity will land him in considerable peril. Trying to recover from his previous adventure, Scott Wolfe is less than thrilled when a CIA agent asks for his help tracking down an ex-agent who might be up to no good. 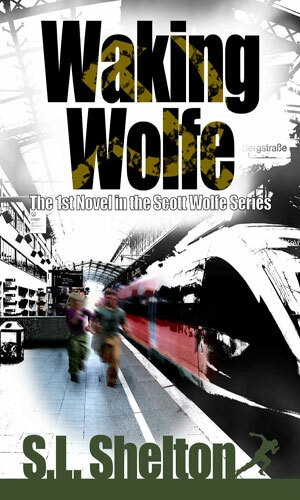 Scott Wolfe was very bored with his life as an analyst but after an attempt to kidnap him fails, he finds himself being trained as a field operative. Though excited about his new career, he knows one wrong move and it will be over and so might he. Heading to training at the CIA's Farm, Scott Wolfe is kidnapped and spends a considerable amount of time being questioned and tortured as the CIA encounters tremendous trouble bring a captured rogue agent to justice. 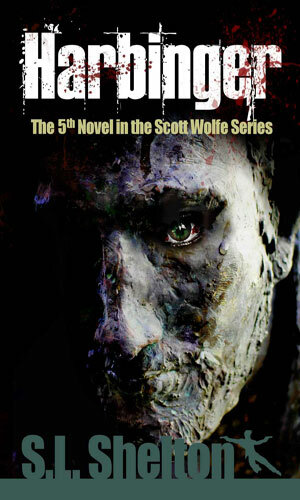 Forced to go underground to stay alive from the mysterious hidden forces out to eliminate him, Scott Wolfe is more determined than ever to figure out who is behind the corruption on a grand scale that he has uncovered. The author warns in an intro to the series that he hoped the switching between 1st and 3rd person perspective was not too jarring and I can see why he was concerned because it was .. at first. That disconcertion changed quickly, luckily, and for me never became a problem. 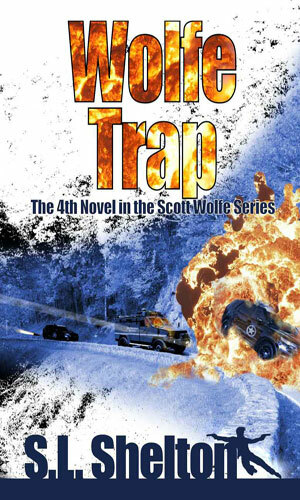 It even became a much needed device to let the reader know what Scott Wolfe was really up against and for that I was grateful. The next thing I noticed about this series was that the character, a totally untrained amateur, was able to do a few things he shouldn't know how to do and to handle situations which were really over his head. That did not sit well. HOWEVER! It also did not sit well with the character, either. He was a tad confused at first but then just went with it and kept on his mission. The author's handling of it was pretty good because as the long multi-book saga continues, it all makes sense and becomes very enjoyable. It takes a while (a good thing) for the character and us to get a glimmer as to why Wolfe is so good at things and it is fun learning. I mentioned this being a multi-part story and it is but most of the books end well and you get the desired feeling of "well, that's over!" all the while knowing that more is coming. Luckily for me in my reading, I had all but the last book so when I came to the end of one and nodded approval, I could open up the next to find out what happens next. A compliment to the author is that when I got to the end of the sixth and the seventh was not out yet, I frowned - deeply. I wanted to know what happened next and I wanted to know NOW. That is indeed a credit to the writer. This is not a perfect series (none are, of course). Some of the bad guys are bad to excess. It makes you hate them a lot and makes their downfall so righteous but the level of their violence is too high. Oh well! And the shift from Wolfe's memories of his father going from he was an abusive, angry man to a loving and concerned dad got kind of confusing to me. Again, oh well! The most important thing you should get from my appraisal of this series is that when I finished book 1, I immediately went to book 2. Then 3, 4, 5, and 6. I do not do that if the series is not fun. It is not always great but it is always fun.